Usually treasures are meant to be kept as secrets and promises of treasures are quite rare, if at all true. However, this time, this is not the case as the Sim Lian group has promised and delivered the one and only Treasure at Tampines with their new property launch. The infamous real estate and architecture group has been providing families and individuals in Singapore with amazing housing, and communities for well over 40 year. The property investment and construction group has revealed their newest property, in Tampine and it is truly a treasure of a property with many luxurious features and unique characteristics that will surly leave you in awe at the beauty and sophistication of this high end residential property. 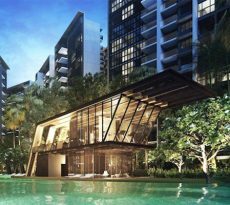 The newest property launch, Treasure at Tampines, is situated on the former Tampines court, Tampines street 11 with around 2,203 luxurious, high end residential units available for customers to enjoy as soon as possible. The 2,203 units are spread over 29 blocks of 12 stories each, featuring state of the art construction materials, amazing modern architecture and a great, intuitive urban design to make sure the residents enjoy a busy, exciting and luxurious lifestyle with both family and friends. 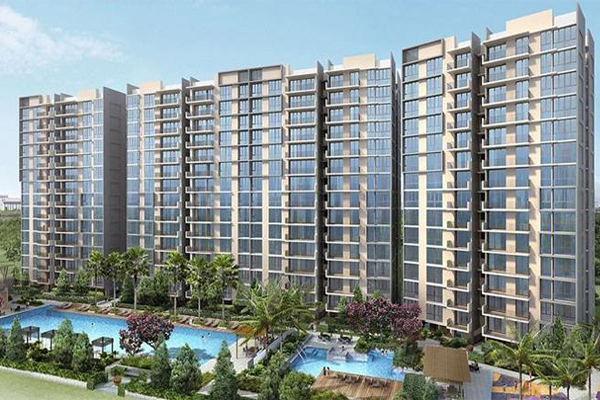 The property will also feature shuttle buses to help residents reach their destinations with ease and comfort, also the Tampines condo is quite close to Simei M.R.T station and can be reached pretty quickly on foot. 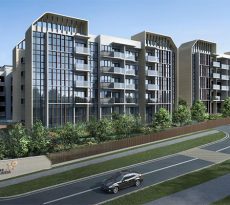 Future community development and long term urban power: The project is located on Tampines street 11 and is situated between several future landmarks that are bound to boost and rejuvenate the neighborhood in the near future. 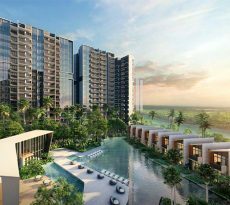 Projects include the anticipated jewel of Changi Business-Park, Changi Development-Project, And Tampines Industrial-Park. These aforementioned projects are bound to turn Treasure at Tampines into a future capital. Proximity to several key locations: In addition to the future landmarks, the property is situated near century square, and is a short drive to Tampines hub and Mall, as well as East point mall. The project is developed in the key suburban areas of Tampines, and covers an area equivalent to 11 football fields that is surrounded by many recreational and commercial opportunities. Several convenient properties and mixed use estate: Since this new property launch is located within the heart of Tampines and in close proximity to Simei MRT, residents and future owners can enjoy the hundreds of department stores, shops, restaurants and other conveniences around Treasure at Tampines. Such an opportunity is too good to let pass by, and show rooms for properties are now accessible to the public and potential Treasure at Tampines residents. Registration has opened on the website and interested clients can book a showing for any of the properties available, also floor plans and residential layouts are accessible on the website. The real estate supports normal progressive payment, but if you feel the payment scheme is not as convenient, then do not fret, you can use iCompareLoan to view and compare home loan Singapore and choose the best suited scheme for your needs. The mortgage broker company, iCompareLoan, allows clients to access several home loan information databases and help them compare different Singapore home loans without any extra steps or time consuming broker meetings. Purchasing and owning a property can be a hassle for some people, especially setting up payment plans and checking the hundreds of housing loan plans that are available. With iCompareLoan mortgage brokers can help you figure out the next step in your housing financing plan and guarantee a chance to own your dream home. It may seem difficult but the reality is much different and what nay seem like a far-away dream is actually within reach, just give iCompareLoan a try and you’ll be amazed at how streamlined and straightforward the service is, allowing for an easy way to compare between several house loan plans in Singapore.